Greetings fellow pizza lovers! (or I assume you are). We pizza lovers, we know how we like our pizza don't we? We don't stray easily either, do we? We are the movers and shakers of the universe, trust me, I know we HAVE to be! You know that I profess to have the best pizza dough recipe on earth right? 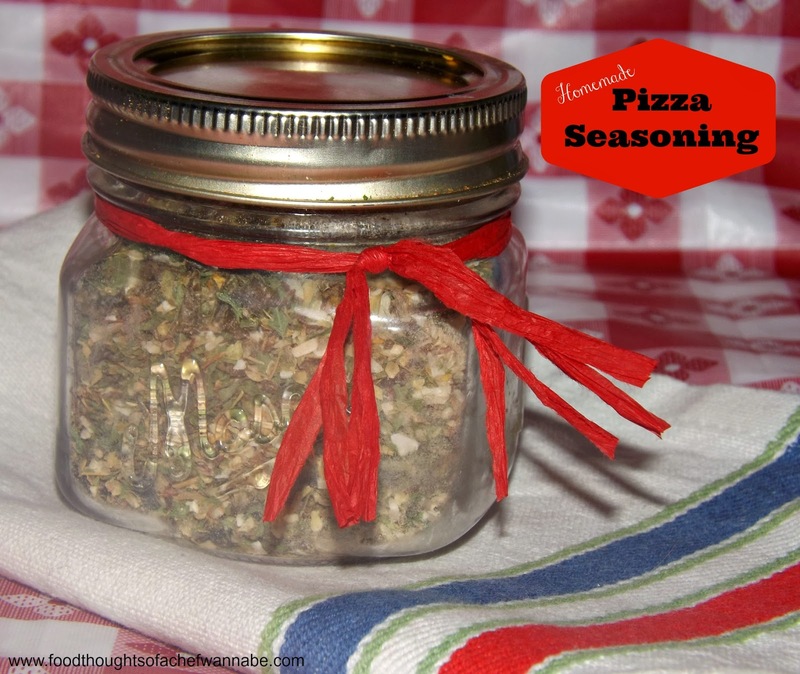 Well I decided I would also share with you my homemade pizza seasoning. I get crazy when I see the amount of salt in these prepackaged seasonings. YIKES! Never mind the MSG, fillers, etc. Just give me the flavor people, just the flavor and I will be golden. They won't do it. So, I make my own. Actually I make it sound like I have been making my own for years and that is not the case. I have been making my own for a few months. It took me a couple of batches to work it out how I wanted it to taste. I am happy with it, my family and friends love it and I hope you do too! All of these spices can be purchased at your grocery store, or even your dollar store. I chopped my recipe down to make a 1 cup size amount but just double or triple the ingredients for more. I use it to flavor cooked sauces, I use it straight from the jar on pizza, no matter how you do it, cooked or just sprinkle it from the jar! Combine all ingredients in a bowl, or jar. Mix (or shake) until combined. You CAN put this through your mini food processor to make it a finer mix, but I use this in sauces as well as on top of pizza or in pizza sauce, so I like the texture of it. This makes about 1 cup of seasoning. It is easily doubled or tripled with no problem! Make sure to adjust the red pepper flakes to your liking. Add more, or don't add any at all depending on the heat level you enjoy. Me? I need some heat friends, I LOVE some heat!